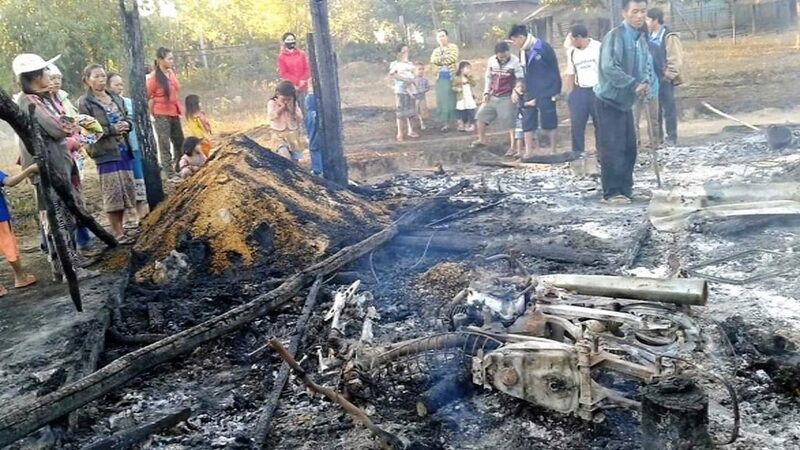 An arson attack on a family’s home in Laos is the latest incident reported by the country’s minority Christian community. In January, the home of Yeng*, a church leader, was burned to the ground. He and his family were away when the attack happened at 1am. It wasn’t possible for neighbours to put out the fire before it had engulfed the whole building. Yeng lost everything, including his supply of rice and his motorbike. Over the last two years Laotian Christians have faced many attacks because of their faith: being expelled from villages, jailed, humiliated in public, shot at – as well as being pressured by their families to return to the country’s dominant religion, Buddhism. January 2017 Because he is a Christian, Pastor Shu* was almost killed when a relative turned up at his house with a gun. Shu saved his own life by running away. He reported the incident to the police, who arrested and imprisoned the attacker. But Shu was threatened again by the assailant’s father who was angry that his son was in prison. Shu’s family, who are not Christians, forced him to move away because of the trouble. He is now living in another village but struggling to pay the rent of about 10 million Lao Kip (about $1,200 US). October 2016 Three families were asked by their own relatives to leave their village in Kham Gerd because of their faith. They are currently in talks with the village leader about their future. 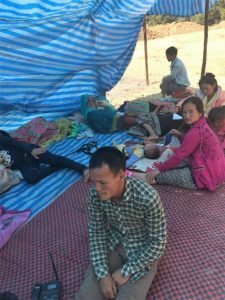 September 2016 A group of 10 families (50 people) living in the western Laos province of Bolikhamxai were asked to give up their Christian faith by members of their wider family and other villagers. They were given three days to make their decision. On the second day the brother of the group’s leader was shot dead. In shock, the group couldn’t make a decision. Thirteen days later, despite pressure from the police, they held off making a decision again because the group’s leader was absent. As of March 2017 the group have not given up on their faith but remain under pressure to do so. In Luang Namtha, on Laos’s northern border with China, three Christians were arrested and imprisoned for five months after neighbours complained that they were singing hymns too loudly. July 2016 In Luang Prabang, northern Laos, a teacher was imprisoned after recently converting to Christianity because he reported that his new faith had led to him being healed after falling ill two months earlier. When his school heard about the healing they told him to leave his job. He refused, was sacked, and then arrested and imprisoned. March 2016 Soldiers and village officials joined with local people to force a group of Christian families out of their village in Houaphanh, north-east Laos. They were told by their village chief that it was because of their faith. The families were given no time to pack food and clothing. Four of the families started living in the grounds of a hospital, but were moved on to a nearby rice field by the authorities. December 2015 Three Christians from Baan Hua Phu Cha city served eight-month prison sentences after members of their own family, opposed to their conversion, managed to get them arrested. The family had first tried to throw the converts out of their home. One of them, Lhang*, reported that, during their time in prison, they were regularly threatened and beaten, and given only one small meal of rice each day. Their cells were dirty and so small, he said, that his brother, arrested and imprisoned with him, now finds it difficult to walk – the size of his cell meant he couldn’t properly stand up or lie down. The three Christians, now out of prison, are still treated badly by their own family, who allow neighbours to steal their farm crops. They want to move out of the family home but can’t find a new place to live. Two young women from Houaphanh were also abused by their family because of their faith. The women refused to leave Christianity so their father tied them up and left them outside in cold weather for two days. February 2015 When seven families were forced to leave their vlllage in Kham Gerd, they scattered around the area, staying with relatives or moving to their own farms outside the village. As of February 2017, three of the families had returned to the Buddhist faith, three others had moved to a centre for Christians, and the other family had returned to the village to live with relatives. (These stories were told to staff working for the global Christian charity, Open Doors, which has helped some of the families with re-settlement costs. Laos is 24th on its World Watch List 2017 of the 50 countries where it’s most difficult to live as a Christian).